Since the advent of e-commerce in Nigeria, Online malls have made not just buying easier, but selling also. There are several online shopping malls in Nigeria but Konga and Jumia are the two biggest in Nigeria if not West Africa. There are a lot of mind blowing deals you can enjoy from these online retail shops/malls that will help you save a lot in discounts. For the sake of ease, I will be teaching you how to shop on Konga and save yourself some extra cash on good deals. 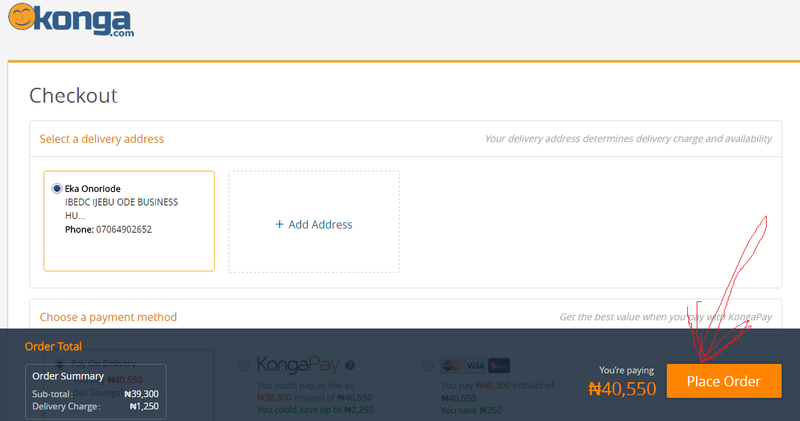 With Konga, you can pay on delivery for goods ordered, you can track shipment of goods, and there is even buyer protection when you pay with Konga pay. 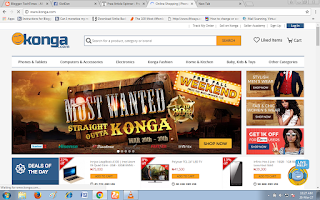 Before you can shop on Konga you need and internet enabled device like a mobile phone, I-pad or a PC. You will need an active email address also, if you do not have one you can go to any of the email service providers and signup within seconds. Now, before I tell you the steps to take on when you want to buy online, you have to ensure you have a DEBIT or CREDIT card. You may also pay through online bank transfer, but if you are worried about the privacy of your card or banking details then you can chose the option of 'payment on delivery' when shopping. I assume this may be your first time to shop on Konga so I will be telling you what to do from the basics. 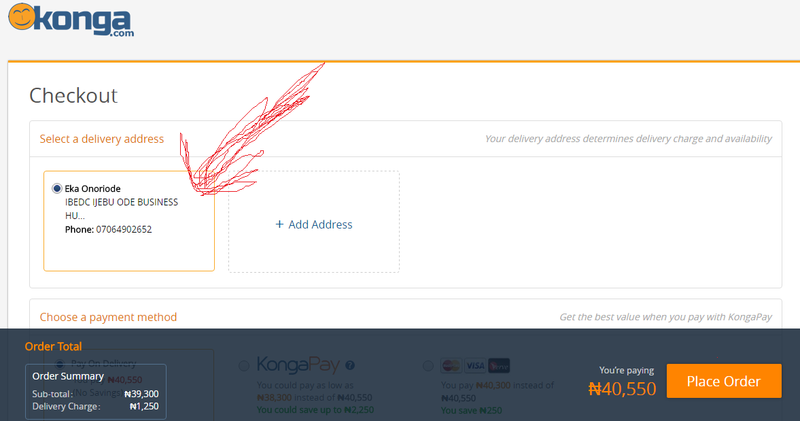 - Go to Konga.com and at the top right corner click the signup button. - Fill the dialogue box that shows up on the next page with your personal details and hit the signup button. 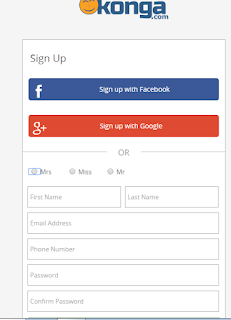 - Next, you may be automatically signed in or may be asked to verify your email address. Go to your mail box and verify by clicking on the verification link sent to you. - Now go to konga homepage and sign in to access your profile. - Next, on your profile navigate to the delivery address section and add your delivery address, You may as well leave this till you want to check out your products. In this section you can also update your Phone number and alternate email address. 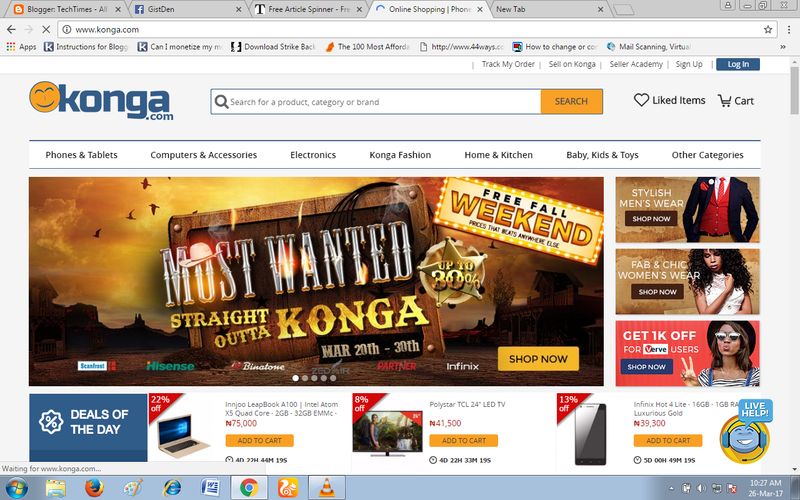 - Navigate to your homepage and search for whatever you wish to buy on Konga. Lets use 'Infinix phone' as an example. see screenshot below. 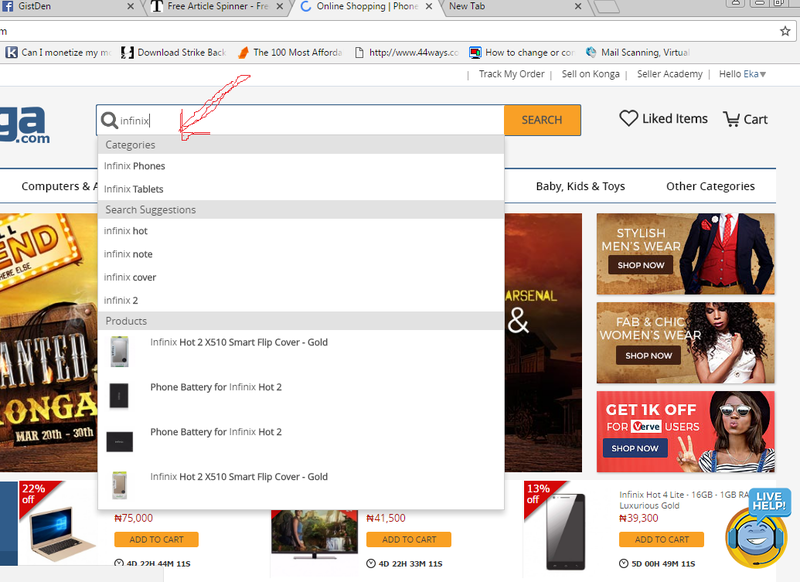 - As you can see from the search query above that you have different results, now chose the actual infinix phone you wish to buy. 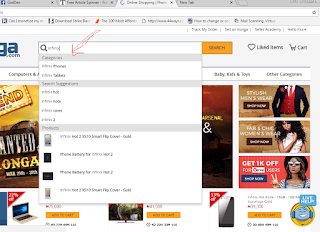 You may as well navigate through and go to Categories>>Phones>>Infinix. - When you finally come across the product you wish to buy, look at what people have said in the review section, look how many successful sales have been made by the seller, etc... and if satisfied with the item click on 'Add to cart' or 'Buy Now'. Remember you 'add to cart' if you still want to continue shopping, but when you are satisfied with the item and wish to check it out immediately use the 'Buy Now' option. When you are done shopping, proceed to check out and you will be asked to provide your delivery address. - Now, if you don't already have your address on your profile, simply add your preferred delivery address. - Next, You will be asked to chose a payment method. Chose your desired payment method; either KongaPay or Payment on delivery. 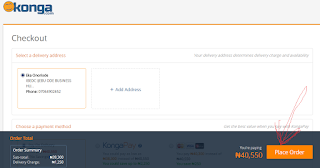 KongaPay offers a certain amount of discount when you pay for your goods using Konga Pay. - After choosing your payment option, click on place order. When your payment is successful, Konga will display a payment successful page. After these procedures, Konga will send an order confirmation mail to your email with your order number. You can track your order using this order number. When your order arrives at the nearest kongra delivery agent, you will be contacted on phone. I hope you can now shop online with ease. It is just the same procedure shop on other online retail malls.